Research shows that teaching in today’s education system can be as stressful as the ER. 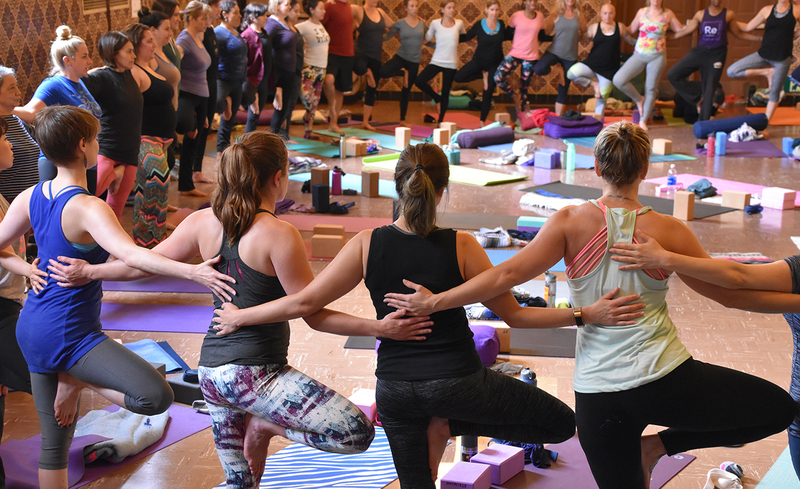 This year, you can come de-stress, connect, and experience the benefits of educator and administrator well-being at Breathe For Change’s Wellness Center with mindfulness sessions, yoga classes, and interactive SEL and wellness workshops all day long. You probably know all too well how stress in our education system can lead to a lack of physical, mental, and emotional well-being for educators and administrators. What you may not know, however, is that educator well-being is directly correlated with student social-emotional and academic learning–and that supporting educator wellness has been demonstrated to increase job satisfaction and retention, enhance teacher efficacy, and improve student outcomes. Breathe For Change Founder Dr. Ilana Nankin saw the connection between educator well-being and student learning firsthand as a classroom teacher, teacher-educator, and Ph.D. researcher. In 2015, she started our movement to enhance educator well-being and student SEL, and since then we have grown to support over 2,000 school communities across the country in enhancing teacher, staff, student and community well-being. Sponsored content and photo provided by Breathe For Change.